A trade union has called for councils to take action against flytipping after nearly 80,000 incidents in the South East last year. GMB Southern is asking authorities to have a ‘zero tolerance’ policy against the anti-social behaviour, saying there was huge variation in how actively councils tried to investigate and deal with flytippers. The union cited DEFRA statistics to show Horsham and Chichester had some of the lowest ratios of actions to number of incidents from March 2016 to March 2017. Of 737 fly-tipping incidents reported in Horsham district, just six actions were recorded, a ratio of less than 0.01. Chichester district had 988 incidents, with 109 actions, ten times better at 0.11. 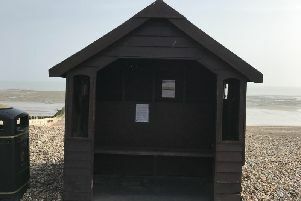 Both districts were outranked by Brighton and Hove council, which reported no actions taken against 2,520 incidents in the same time period. By comparison, Mid Sussex the lowest amount of flytipping incidents in the South East, 324. Councils now have extensive powers to take action against flytipping. There can be more than one action per incident and an action can be one or more of the following: Investigation, warning letter, statutory notice, fixed penalty notice, duty of care inspection, stop and search, vehicle seized, formal caution, prosecution or an injunction. In England there were 1,002,154 incidents of fly-tipping with 474,460 actions taken by local authorities. In the South East, there were a total of 79,911 reported incidents with 32,429 separate actions. Source: Department for Environment, Food & Rural Affairs Waste and Recycling statistics. Fly tipping incidents and actions taken reported by local authorities in England, 2017.